· Does not carry a vote unless there is a tie, then he/she will cast the deciding vote. · Works with committee chairs. · Responsible for having Liquor License in their name for any events held while they hold the position of president. · Steps in when president is not available. · Has signing authority on cheques. · Is expected to take over Presidents position when he/she retires. · Records minutes of all meetings, keeps records of minutes and archives. · In charge of sending out any correspondence and cards such as condolences etc. · Books judges for the show season and chooses patterns for each show (the judge may bring their own). · Records points attained during the show and keeps a record of such. Points must be tallied within a few days of the show date and given to the person heading up the newsletter. · In charge of tallying the points and figuring out what classes qualify for year end awards. · Keeps record of financial activity in the club, including sponsorship, memberships, fundraising etc. · All monies are to go directly to the treasurer such as show monies, fundraising monies, memberships, sponsorships etc. · All receipts are to be given to the treasurer for payment. · Responsible for picking up the mail and paying the bills, and having floats ready for any events that it is necessary. · All membership and sponsorship forms are to be given to the treasurer. · He/she will then be in charge of categorizing and keeping track of all members and sponsors. · All directors will be responsible for helping out at club functions and are expected to attend all meetings. · Directors should be available to serve on committees and be prepared to contribute their time and other resources. · Responsible for recruiting a committee to help brainstorm and implement fundraising projects throughout the year. · Handles any fundraising for youth. · Heads up the silent auction held during the year end banquet, this entails making sure that there are items for the auction. · Handles the paperwork for the Youth Team Tournament and/or any other venues that are being represented by Dry Lake?s youth. · Bring forth ideas for year end awards and present them at year end banquet. · Does not carry a vote unless it is a director doing it. · Organizes and runs trail rides held by DLSC on the first Sunday of the month unless it to be held at someone?s farm/residence. In that case, the owners of the land will be responsible for parking and trails. · Organizes the trail rides for the annual overnight trail ride traditionally held in August. · Makes sure that waivers are signed or memberships are done by all trail riders before each ride takes place. · Responsible for getting updated copies of the all members and sponsors from the treasurer. · Responsible for updating DLSC Website and FB page. 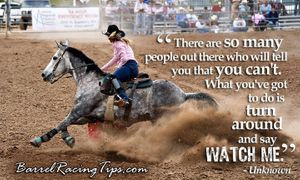 · Responsible for a monthly newsletter getting out in a timely fashion (during show season) which includes information about trail rides, shows, upcoming events and show points. Off season the newsletter is done when needed to keep members informed of the upcoming events of the club. · Also responsible for photocopying (photocopier is supplied and is to be kept at your home) mailing or emailing the newsletter to all members.